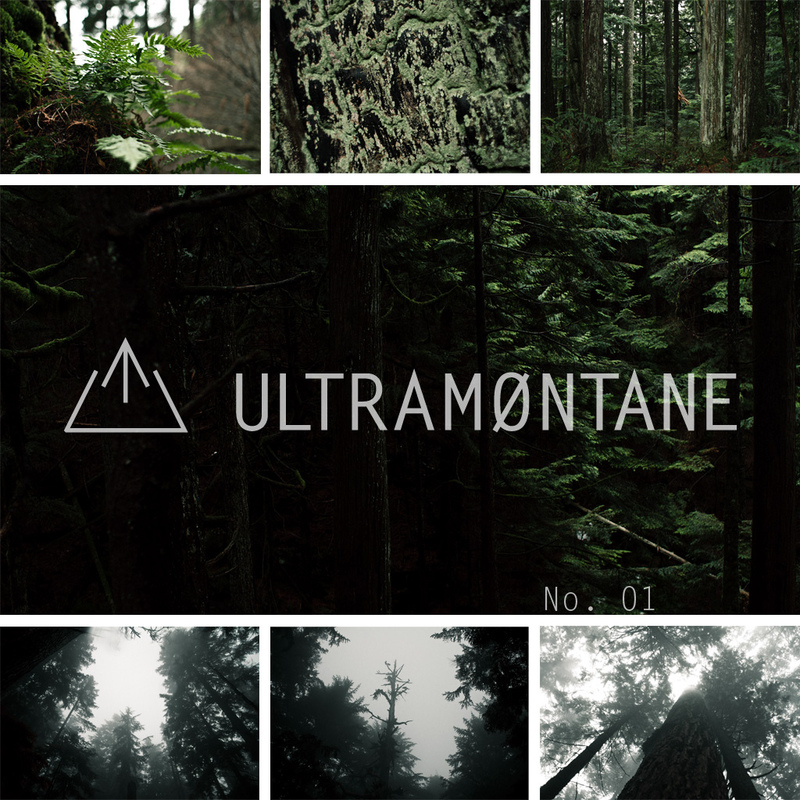 Since we released the Ultramontane Preview on December 23, we have received an incredibly positive response. This pushed us through to today, with a drive to come out the gate strong with the series. We're releasing two parts in the No. 01 release, and it may become something worth pursuing in the future releases. 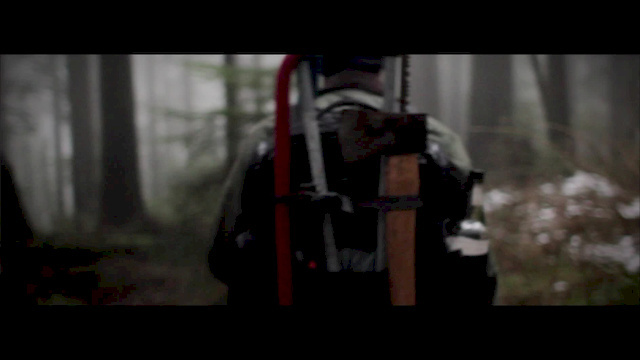 The world is a visual place, and we planned to correspond to and parallel this by creating a visually heavy debut. The opening section below focuses on Connor Macleod and myself, Derek Dix, as we push to maximize our winter participation within the sport. 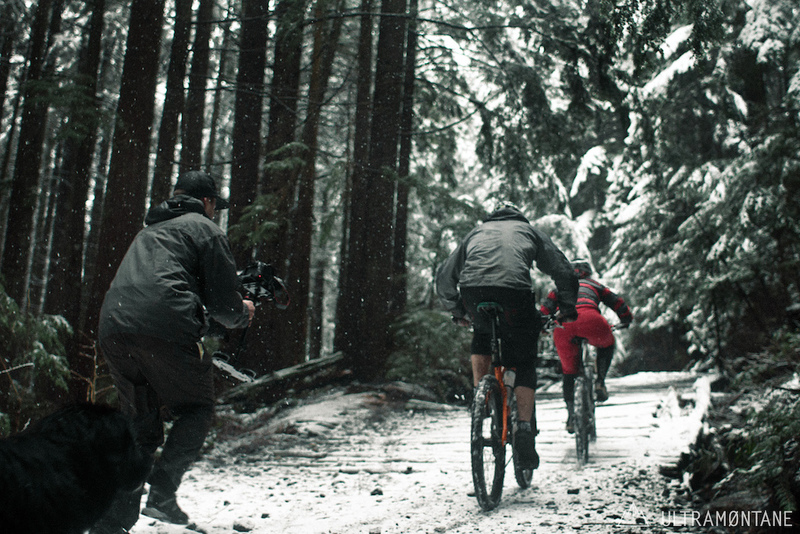 If you missed the preview a brief summary of the project is that as both media and riders we're combating the lull created in a sport that doesn't necessarily require an 'off-season' when faced with the climate of South West British Columbia. Since our preview on December 23, we have been incredibly lucky with the weather we have faced. Balmy winter days were the regular all through late December and early January, and we took full advantage with riding, building and maintaining what trails already exist. Rain quickly set in at the start of January, which gave us a prime opportunity to focus on drainage work for some of the trails that have been a staple for us since we began riding. Conveniently they are also close to home and make for quick work in a morning or afternoon. 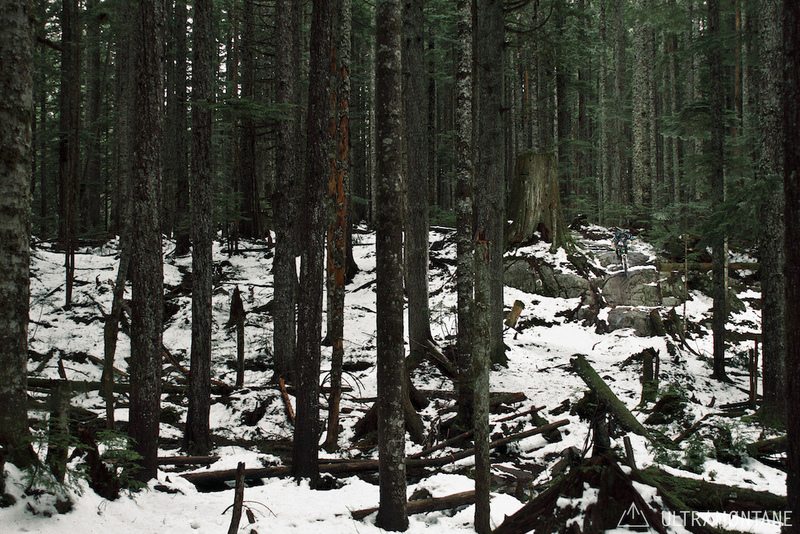 We also have began construction and selecting a new line in an old area that has been long forgotten since logging was the last activity it has seen. Building in the winter through foul weather has a certain allure to it... there's a dead still that carries it's own sound when you pause from the high pitched clink of your mallet hitting a splitter head. 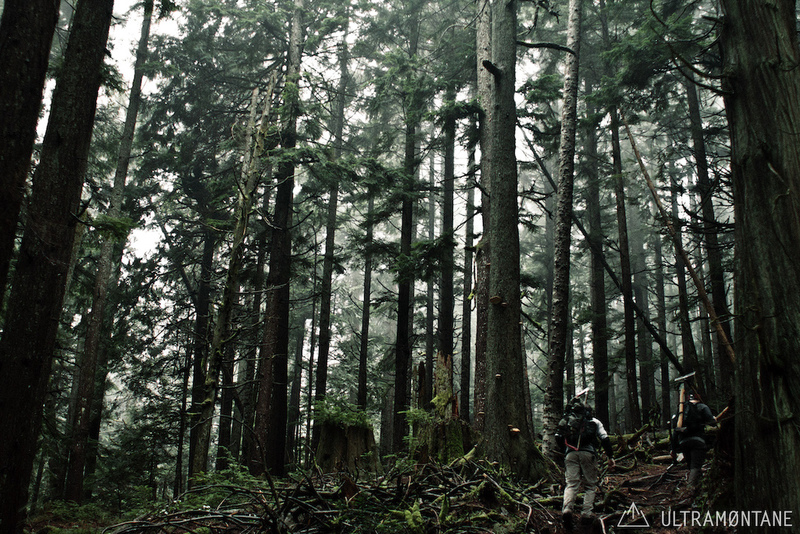 There's less people out in the forest during this time and that can leave it's own impression on you as well when you consider the solitude you're left with. That same still carries into riding, if you pause to take in the vastness of an area it really can trigger you to consider the scale of your place in the world. My father always told me-- and still does: "A man's character can be judged by the company he keeps." I feel that holds incredibly true, and its part of the reason we chose to create Ultramontane & Company. 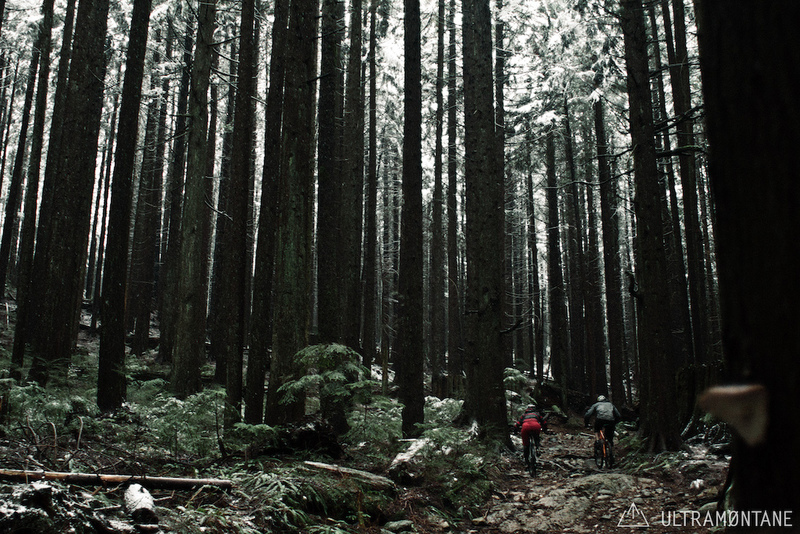 Katherine Short and Mitch Forbes are hands down our favorite power couple in mountain biking. We had our introduction to them through racing on the BC and Canada Cup Circuit. They carry such strong spirits and every time we shoot with them the woods fill with laughter. We presented the idea of Ultramontane & Company to them and they were instantly instantly pushing us to pack our bags and go shoot. With Katherine and Mitch dog-sitting the handsome Foster we had our trail team. 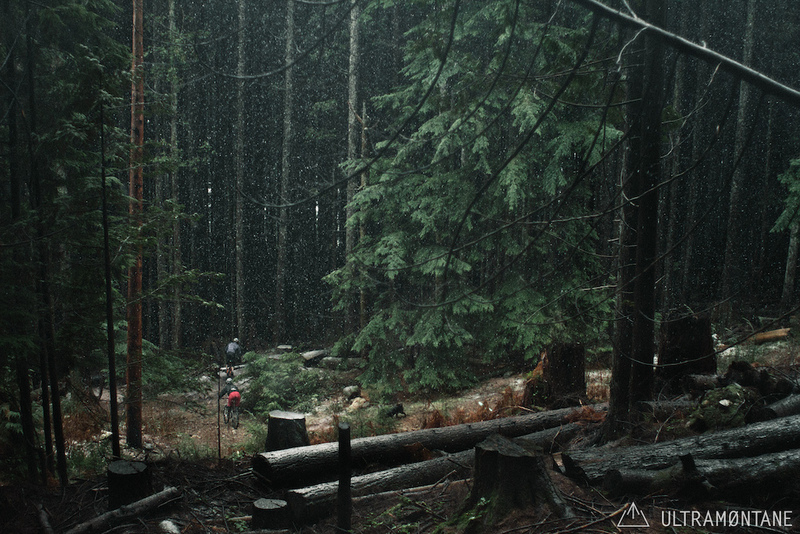 Over the last few weeks we aimed to put together an edit incorporating all the elements that make a ride something worth telling about, from hard-tail climbs and descents, to trail dogs and foul weather night rides, their ambition to showcase what riding was to them gave us a great deal to work with. That concludes ULTRAMØNTANE No. 01 - Our next release will be on February 03. 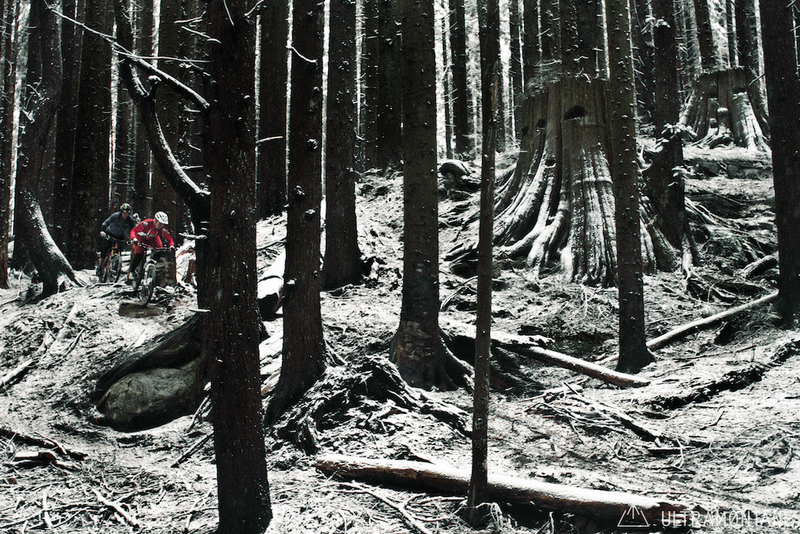 Beautiful edit, cool music, great pictures, winter riding, a dog and even a woman! This has it all. i liked the night riding too! that was really cool! That was sweet! ULTRAMONTANE is deadly. 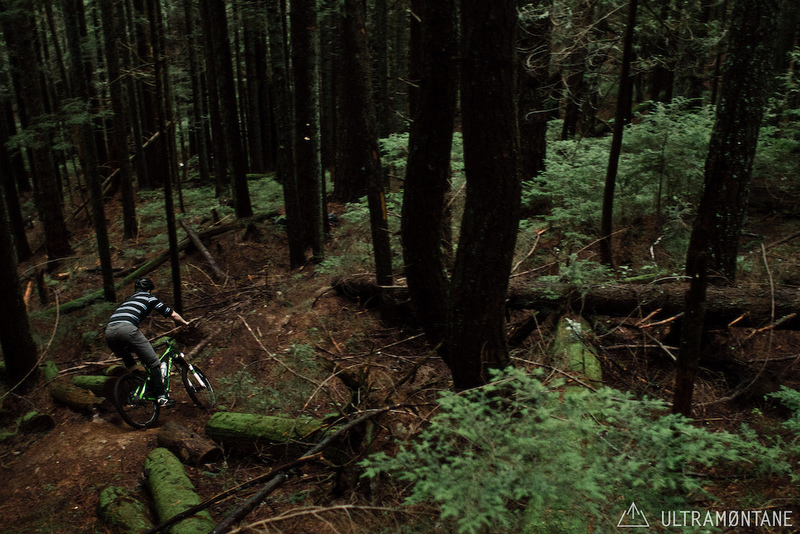 Rippin' riding in great edits with a fun vibe. 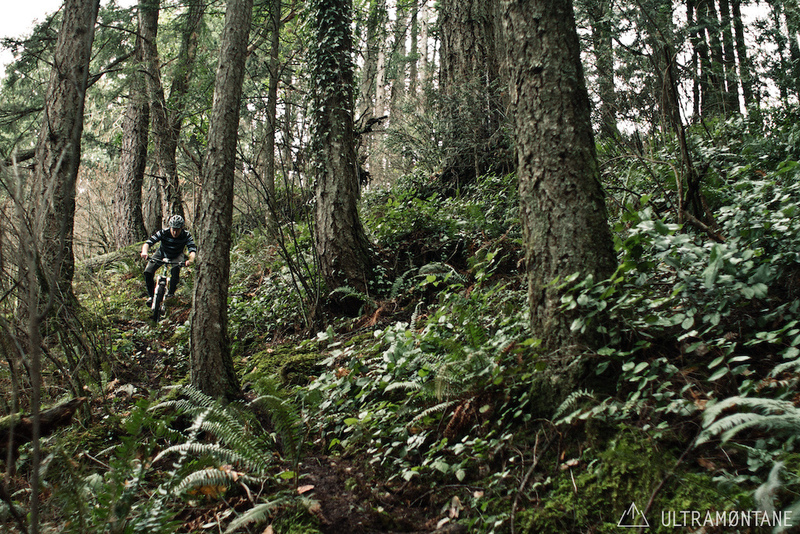 I once saw Connor downhilling wet technical Whistler Garbo laps with a 80lb pack being a assistant camera sherpa for Margus Riga at the CWX Deep Summer '11 last year and then pulling out the additional video cam at every location stop scurrying all around the local landscape looking for fresh angles. Unreal work ethic and passion with a mellow attitude too. Can't wait to see more!! Yep, the MELLOWEST of attitudes! Great work Conner. PS I already commented that this is a nice photo haha. This isn't just some random post, as I DO REALLY love the imagery here! It's Letter Gothic for all the pixel pushers. Thanks man, yea I ran it through a font finder app, and that's what came up Thanks for the fast reply! This is the first time I've seen a video of all the trails I ride near Cypress. The whole area is a forgotten jem that was big in the 90's and has since been forgotten. I'm up there 3-5 days a week and have seen Derek & Connor filming and building throughout the past couple months. Keep up the great work guys, I wanna see more of my back yard. Precedent set. 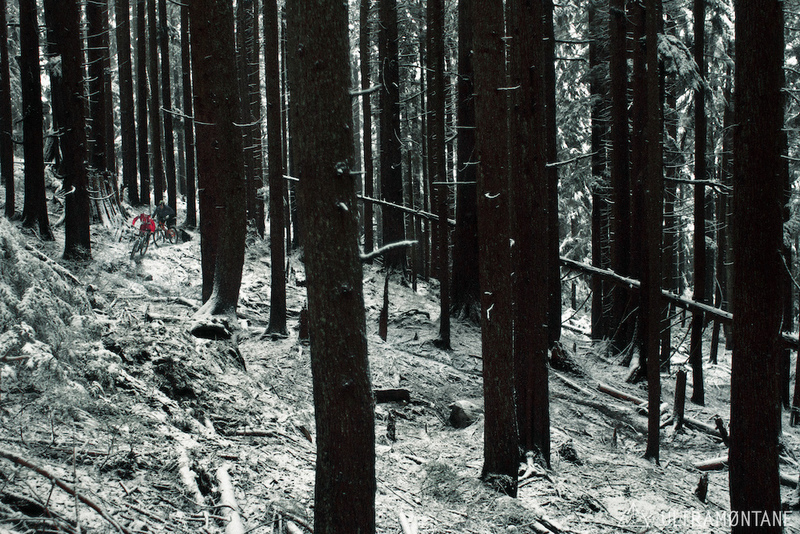 No huge hucks, drops, tricks... Just solid riding filmed beautifully. Good stoke. Want to ride NOW. These are so good I have to comment twice. Maybe it's the music or the people but these edits have a pretty unique vibe to them. Looks like people having fun on bikes and nothing more complicated than that. Also add in beautiful shooting and location. Wicked. Well done. Covered all bases! 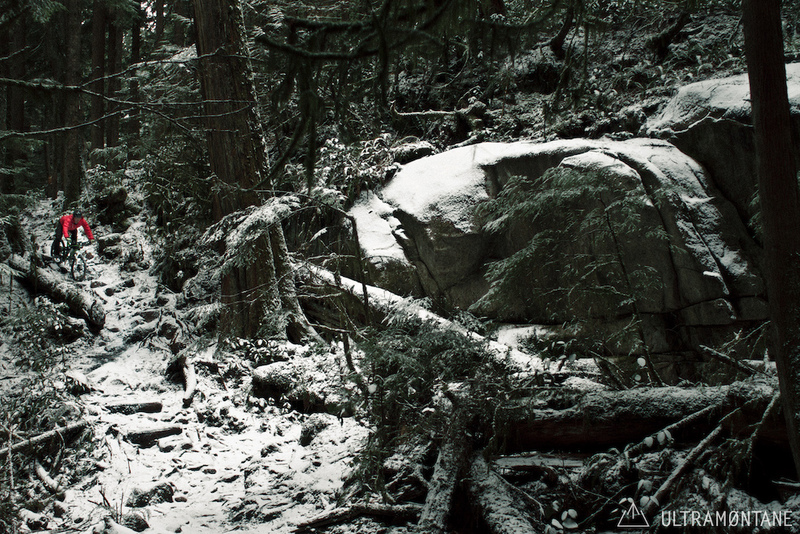 If you love the great pacific Northwest (or Southwest if your in BC) then you just learn to love the winter weather. You do everything regardless of Rain or snow Otherwise you would just be holed indoors up for 7 months. Great Inspiration!!! thats a dream isn't it, riding with your lady and dog, and not having to wait up. The second video is amazing. Great riding, great music, and the night winter riding was so well done! the whole video gets me unbelievably pumped to ride. What an awesome video!!! Love the all mountain!! Way better than most dh an dj on here,,,keep them coming ULTRAMONTANE!!! Wow!!! I am putting night riding in winter i on my have to do list right now. Amazing!!! SO much fun to shred!!!!! Best content on here in some time. some one needs to donate a damn chainsaw!!! just watching the futile bow sawing made my arms hurt!!!!!!!!! Really cheered me up on this -14° saturday morning. Cant wait to hit the trails with the dog and GF this spring! only 2 more months to go! Great to see some shredding on the xc hardtails! How is she riding with the dog in her lab in the second video at 00:18, cause thats rad. I can't wait for more of these, great series so far. Two spokes up! Wonder what kind of lights they are running? looks like the Serfas 1500. So far it has been awesome for me. Super bright! Super expensive, too. One of the best night riding scenes I've ever seen. I think I may now invest in a good lighting system, it looks so fun! YES! Ultramontane!!!! Great people, great production, great riding. More! everybody should have Spicebox, flavoured whiskey as a sponsor. Best edits i've seen in a while! Thanks. Haha they pick fights about who gets to "walk" the dog. I love the photos so much. This is overall really epic! speechless, and a big grin on my face! Yeah Mitch. Nice hardtail action. Phenomenal edits! Great music! Can't wait for the next in the series. That Slash 9 looks Sick! Awsome!! only word to describe it!